Lee Strider has always had vivid dreams …but recently, they have become much more intense. In fact, even horrifying. As his headaches also become stronger, he finds that he is able to foresee certain cataclysmic events with greater and greater detail. Earth changes, political upheavals…and eventually, a vision that if true, will affect humanity and change the world forever. “A train horn blared somewhere in the distance. I knew I could hear it and that it was not just my imagination. That sound was my first clue that the terrible nightmare was finally over and – at least for the moment – I was somewhere else. But Where? Images of what I had just seen continued to race through my mind. The memories seemed to rewind quickly and then play over again and again. Memories of traumatic sights, terrifying sounds and sickening smells that I could not forget or replace with happier thoughts soon enough. I felt a wave of emotion and feelings come over me, from horror and sadness over those who I had seen lost so quickly, to partial relief as the adrenaline flowed away from my limbs, leaving them shaky and tingling. How could anything be so tragic and horrifying in the place that was so familiar to me… a place that I had grown to love, a place where I knew I could be comfortable and relaxed, the place I called home? I knew that I was still in shock but at least I was coherent enough to recognize the symptoms. Wherever I was currently, it was dark all around me, I tried to move a little. There was the train horn again, still distant but growing noticeably closer. It must be what initially brought me back to consciousness. The one thing I was not at all able to ignore was the horrific pain that seemed to course throughout my entire body… beginning in my head. My head felt as if it were about to explode and every little movement seemed to only make it worse. There were voices now …children playing from the sound of them. As I struggled to sit up it seemed such a tremendous feat to even move. Now there was a small light – blurry, but daylight nonetheless. I finally gathered the will to just open my eyes all the way only to experience even more searing pain on the left side of my head. 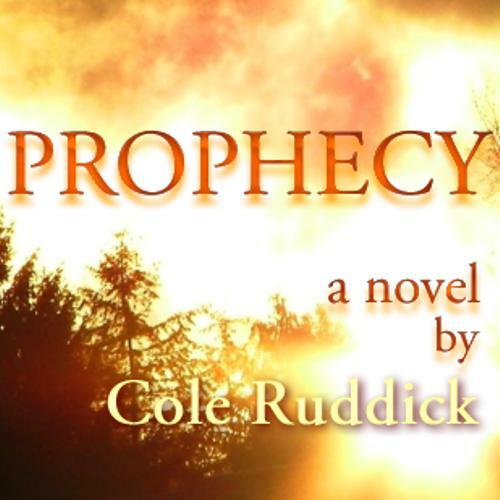 The opening paragraphs of my latest story, titled “Prophecy”, were first posted December, 2009. Shortly after that original posting, work on the book had taken a back seat until an editor & literary agent told me that I should finish it, as the content looked quite promising. 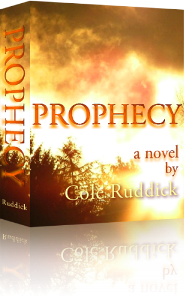 Work continues on Prophecy, currently slated for release late 2011. Updates on the book’s status will be posted to this web site. If you would like to sign up for email updates, please complete the short form, below. I won’t spam you and your information will never be shared with anyone else. just read the entire article!!! It was wonderful Cole!!! When and where could I get a copy of it? Thanks, Amy. Not sure where it will be available yet exactly…but hopefully it will be just the early fall. Will let you know, for sure. Wow! I am really impressed. You are incredibly talented, Cole! Charmaine, thank you so much. I appreciate your kindness. Hi Amy & Charmaine – thanks for your comments! My site pulls comments from FaceBook but doesn’t put my replies back here on my wall. It will be a while beofre the book is ready – a few months. I Thank you so much for your compliments & will be sure to keep you posted on the progress. Hey Kricket – if I can get it finished…just kidding, it’s coming along…YES. I’ll make sure you get a couple copies.